Our main man Sean Kravit aka Great Ghost has delivered a fantastic and eclectic mix with a special theme as a nod to his UFO obsessed cousin, Kai. Though currently in Miami, this ghost can usually be spotted splitting time between sandy beaches and the city that never sleeps aka NYC. Sean is of the patient kind with a quiet demeanor, which could be the key to achieving such great complexity in poly-rhythms and textures on his productions. We definitely appreciate Sean’s approach to curating a mix and can particularly give his productions the big TIP! nod. Artwork is from a portrait of Great Ghost taken by CF’s Harold Fandino in Wynwood, Miami. Banner is borrowed from a street piece by Entes y Pesimo. CF: How did your production name Great Ghost come about? The name is a reference to a song by The Microphones, but it also just sounds cool to me and seemed to fit my style well. I was doing more singer/songwriter stuff before, so the idea for this project was to just focus on the groove first. More and more the results are being described as “sexual”. I hope to go further in that direction. Polmo Polpo – Like Hearts Swelling. Such a beautiful, patient record. I usually only listen to it at important times in my life, late at night. Quasimoto – The Unseen. Lord Quas! 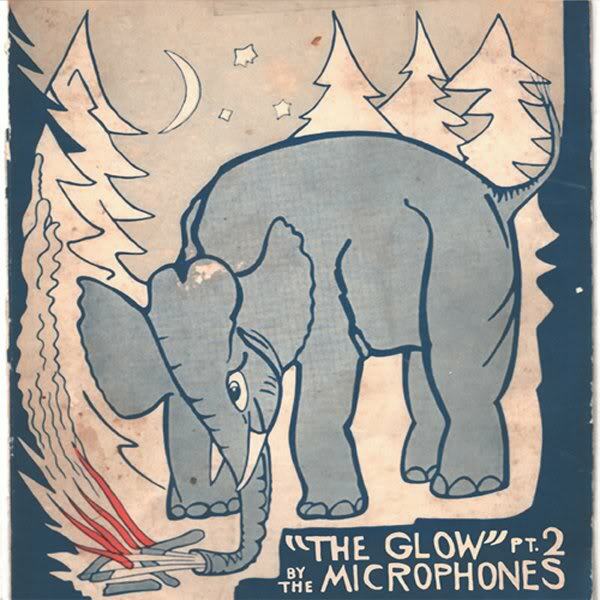 The Microphones – The Glow, Pt. 2. This is the one that made me want to record my own music way back when. CF: what is your favorite thing about living in Miami? It’s cliche but the beach is my favorite. I try to take advantage of the being able to jump in the ocean once a week. CF: Which projects are you currently working on? Any plans for summer 2012? I’m currently working on Great Ghost tracks I’d like to release later this year, as well as a Great Ghost live set. I’m also doing an album with my former Dance, Jenny band mate and cousin, Kai Kravit. We’re calling it Brothers K. He’s doing the singing and it’s got a bluesy, Walking Dead vibe.